A solid gold belly button piercing is the pinnacle of luxury and quality. A solid gold belly button piercing will never lose its gold looks and will always keep its value. 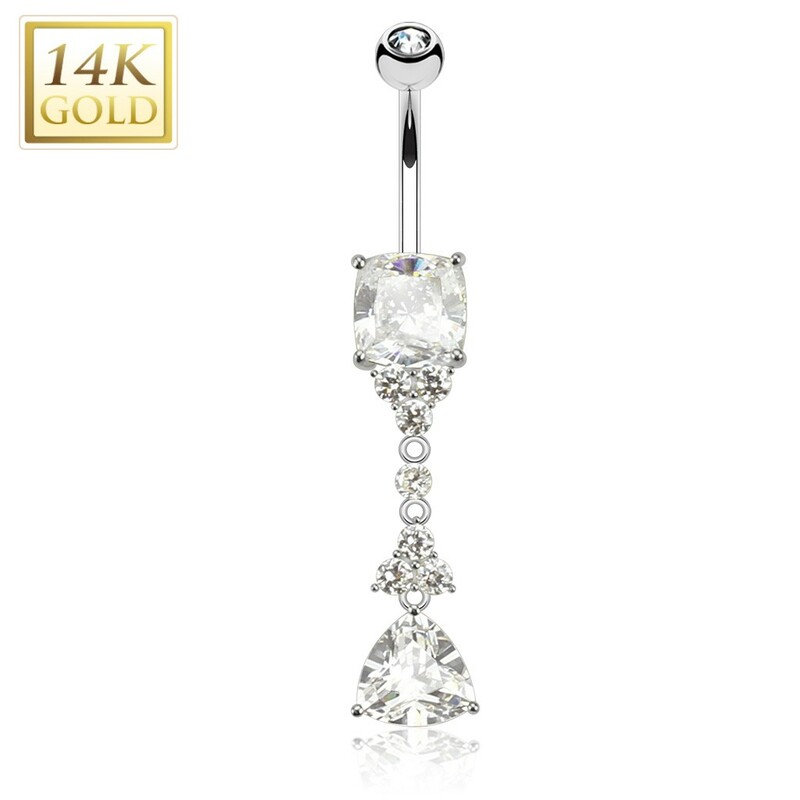 This belly button piercing is enriched with a gorgeous Trillion cut crystal for a lower ball. The crystal that you'll find at the bottom of the pendant is a Princess cut crystal. Both crystals emit a special glimmer thanks to their cut.